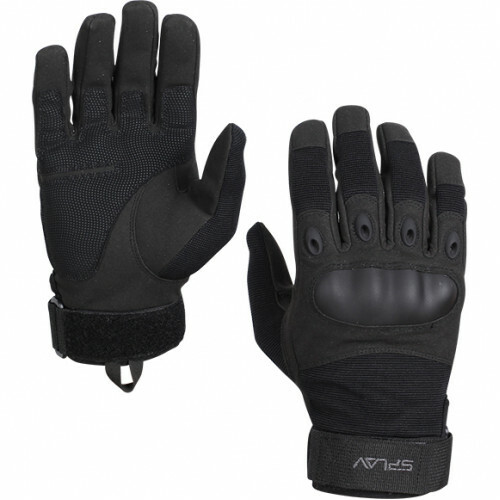 Tactical gloves - this thing is absolutely necessary for people who have to deal with a cold or small arms. They protect hands from pinching mechanisms of small arms, cuts and bruises. Tactical knives are designed mostly for tactical gloves. Following the military tactical Mitts loved by tourists and athletes extreme. Drivers of SUVs, motorcycles, quads and bicycle tourists, regulars adventure races, and orienteering got in their face easy and reliable protection for the hand, allows you to leave the side of caution and focus on the route. Gloves "Rage" made of durable plastic. Palm of the glove is made of high-tech fiber Microfiber (Polyester 100%). Since much of the material yarn thinner than conventional fibers, the density of the material increases considerably. Through this web of Microfiber has a significant wind resistance and retains heat well. This also explains why water-repellent properties of the material. In this case, Microfiber does not prevent air exchange. In the palm of soft insert to protect the hands and the best cushioning, which reinforced durable anti-slip material. The top of the glove is made of Spandex fabric, due to the elasticity which they have an excellent grip and do not restrict movement. This lightweight, soft and smooth fabric always returns its size and shape after stretching. Protection of molded plastic protects knuckles. Protectors in the first phalanges bones supplemented ventilation zones. Neoprene cuff firmly tightened the belt-buckle type «Velcro».